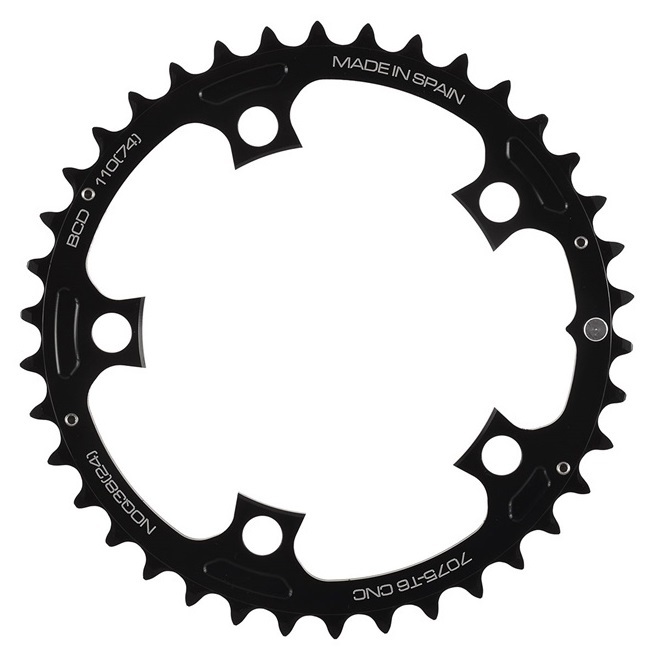 Strong, lightweight and affordable, the ROTOR NoQ Inner Chainring is the perfect complement to any ROTOR NoQ outer ring. These rings work perfectly with ROTOR cranks, including the ROTOR INpower and 2INpower power meters. The rings are made out of CNC-machined, 7075-T6 aluminum alloy, come in a 110 BCD and are designed to work with any outer chain ring. The NoQ ring is compatible with all 5-bolt, 9, 10 and 11 speed groupsets.